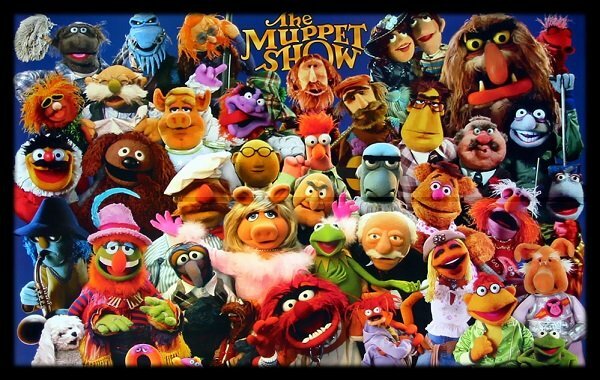 Everybody loves the Muppets, right? I mean, not everyone may have felt the need to go and see their latest effort, Muppets Most Wanted, as evidenced by last weekend’s box office results, but that doesn’t mean the world has turned against them. I’d happily shell out money to see any adventure they decide to go on, hoping against hope that they decided to leave Walter behind next time. 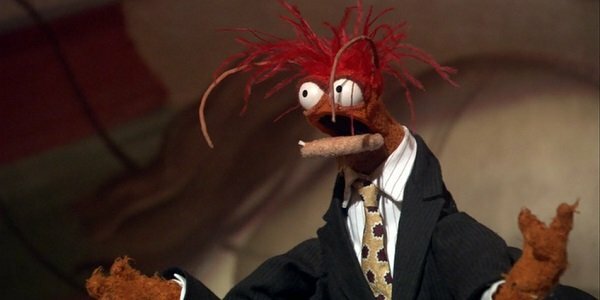 But what if Disney, inspired by the Marvel universe, decided to open up the world of the Muppets to allow for spinoff features? Could these characters possibly do as well in one-off films without the assistance of the ensemble? We sure as hell would like to think so, and these are some of the projects we think should be movin’ right along into the brains of Hollywood studio heads. Note that I’ve left our favorite Muppet Kermit the Frog by the wayside, since he already has his own spinoff, in addition to his other appearances outside the core Muppet universe. It might not be easy being green, but he's sure good at making it. 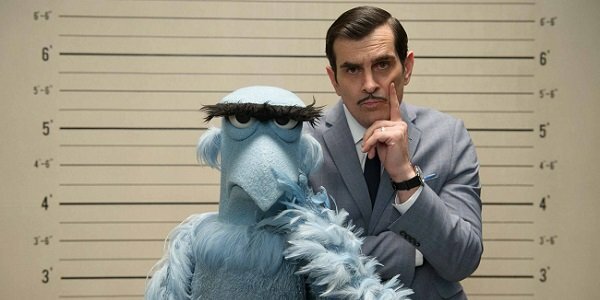 Logline: After (partially) solving the big case at the heart of Muppets Most Wanted, Jean Pierre and Sam are somehow forced to team up once more to nab a suave thief who is stealing the world’s sexiest women and eagles in order to...have them. These bumbling detectives are accidentally handcuffed, superglued and bread-tied together for the duration of their adventure, which takes them from the karaoke bars of Japan to the war zones of the Middle East and the beak-freezing weather of Antarctica. Starring: Ty Burrell as Jean Pierre Napoleon; Jean Reno as the master thief; Scarlett Johansson as all of the world’s sexiest women; Yvette Nicole Brown as the sassy stewardess who’s on every flight that Jean Pierre and Sam travel on; a hologram of Peter Sellers as Jean Pierre’s new boss. Logline: Amateur piano player Rowlf gets the opportunity of a lifetime when he is sent by a major publication to cover a Little Jerry and the Monotones concert. But he ends up befriending the opening band, Dr. Teeth and the Electric Mayhem, who immediately ditch him and never contact him again as they embark on a West Coast tour from Portland to San Francisco, and no amount of drugs or intra-personal feuding is going to stop them. Except for heroin. 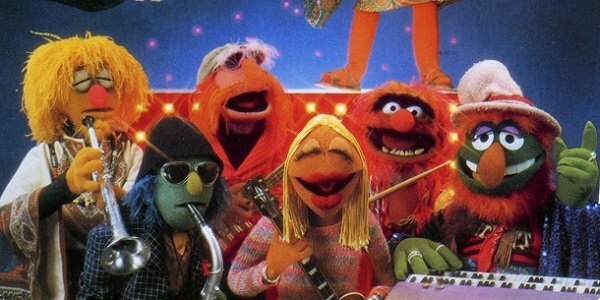 Starring: Justin Timberlake as the band’s manager; Billy Crudup as Rowlf’s understanding father; Aerosmith as KISS. 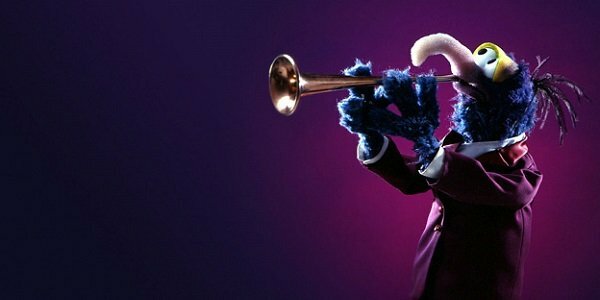 Logline: In this David Lynch-directed thriller, Gonzo plays a down on his luck trumpet player in a New Orleans jazz band who finds a mysterious pair of glasses that allows him to see through the eyes of a more successful version of himself, with money, fame and a chicken girlfriend named Camilla. Using the glasses as his guide, he turns his life around and finds money, fame and a chicken girlfriend, but just when he thinks everything will be okay, he witnesses the death of his other self. Starring: Kyle MacLachlan as the coffee-guzzling bandleader Coop; Laura Harring as Camilla; Harry Dean Stanton as himself. Logline: Suddenly finding himself without a home in New York City, Rizzo the Rat tries to jump start his solo career by writing a stage adaptation of Pixar’s Ratatouille with himself in the leading role. 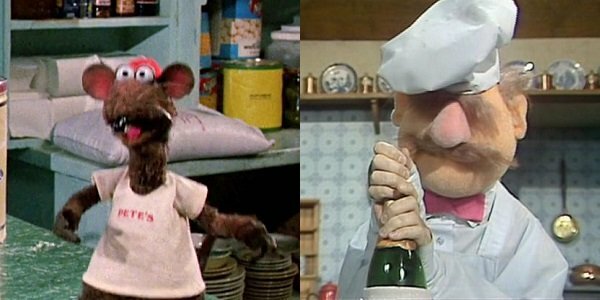 Unable to find any reputable actors willing to work with a lowly rat, Rizzo seeks the help of the only person he knows with the culinary skills to make his play look believable: Swedish Chef. But of course, actually getting the performance off the ground is easier serdee-gerdee thunna done-dah. Starring: Patton Oswalt as the always-hollering theater owner; the cast of Iron Chef America; Master Splinter as Rizzo’s father. 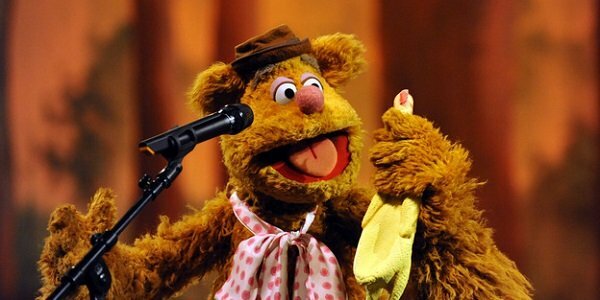 Logline: A taxi driver with a heart of gold and a mind full of fame-driven daydreams, Fozzie wants to succeed Jimmy Fallon as the host of the Tonight Show, and is willing to do anything to make that wish come true, including kidnapping a young prostitute and attempting to assassinate the city mayor, neither of which have anything to do with getting the hosting gig. Bummed, he stalks the family of the lawyer who granted his rubber chicken a restraining order. 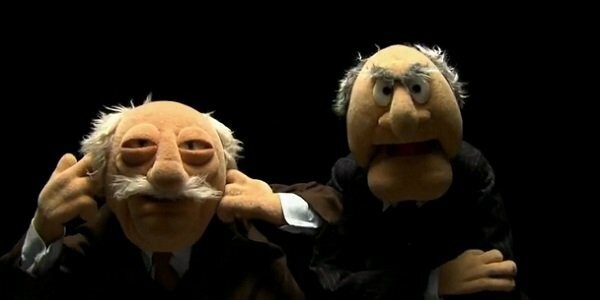 Logline: When two judges for the Sundance Film Festival fall ill and have to drop out, it’s up to Waldorf and Statler to travel from New York to Colorado in just 48 hours to fill the vacated spots. With enough anti-depressants to kill a moose, the heckling duo hit the road for an adventure that will be almost impossible to forget. So I guess you’ll have to try harder. Ohh-ho-ho-ho. 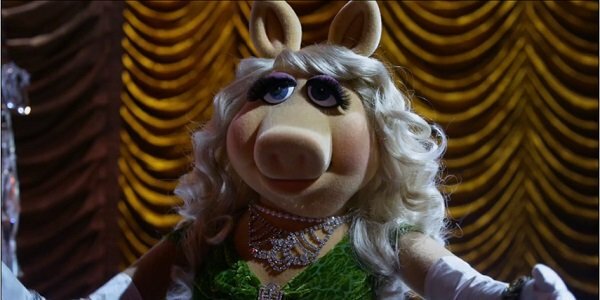 Logline: The year is 1912, and Miss Piggy is looking to take the vacation of her life, but instead of heading out onto the largest luxury liner ever built, she decides to just hang out on dry land and try and find a nice man there. She does, and he buys her all kinds of jewelry and stuff. Nobody dies, and nobody has to sit on a broken door in the freezing ocean. With a soundtrack from Grammy Award-winner Celine Dion. 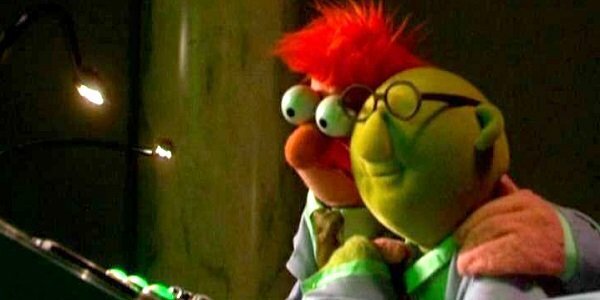 Logline: After a malfunction hits Bunson’s latest invention, the Beaker Saver, an evil alien mastermind kidnaps Beaker and begins making carbon copies of him, replacing the town’s citizens with the frazzle-haired simpleton. Once Bunson realizes the change in population, he must round up the greatest minds in the world to help him figure out a way to stop the madness and rescue his friend, assuming he can figure out which is the real one. Logline: A prequel to Rodriguez’s Desperado, this romantic comedy centers on a young prawn who is learning how to read, and the bookstore owner who wants nothing more out of life than to teach him. Of course, the young prawn is also a drug mule for the most dangerous cartel south of the border, and the only reason he needs to learn how to read is so he can follow directions on where to drop off the "package." Sparks fly, but is he on an emotional high, or did the bags of coke inside his belly burst? 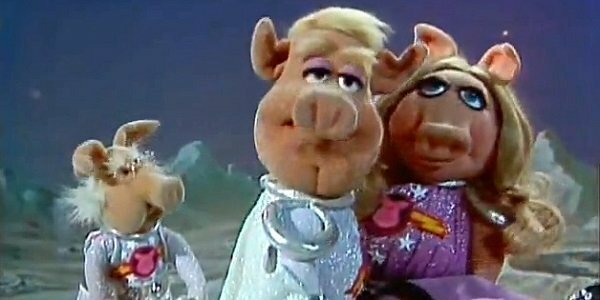 Logline: While on a mission from NASA to seek out promising exoplanets, the crew of the Swinetrek – Link Hogthrob, Miss Piggy and Dr. Julius Strangepork – get into an argument about who has better hair and crash land the ship on a distant moon populated by celebrity lookalike aliens. Once it becomes clear that its inhabitants consider pig flesh as valuable as gold is on Earth, the crew must save themselves from a gang of brutish rogues and find the one man who can fix their ship.